Charting a magnificent route through central Scotland and the Highlands, the long-distance walking trail, the West Highland Way, reveals a treasure trove of sights. From the settlement of Milngavie, just north of Glasgow, the walkway quickly heads into parkland and then open countryside as it heads north for 96 miles to reach the Scottish Highlands town of Fort William. Here we pick 15 of our highlights along the West Highland Way (although of course, this list is not exhaustive!). Glengoyne distillery, definitely worth a stop! Glengoyne Distillery: On the first stage of the walk, from Milngavie to Drymen, the Campsie Fells and the prominent hilltop of Dumgoyne accompany you offering delightfully scenic views. 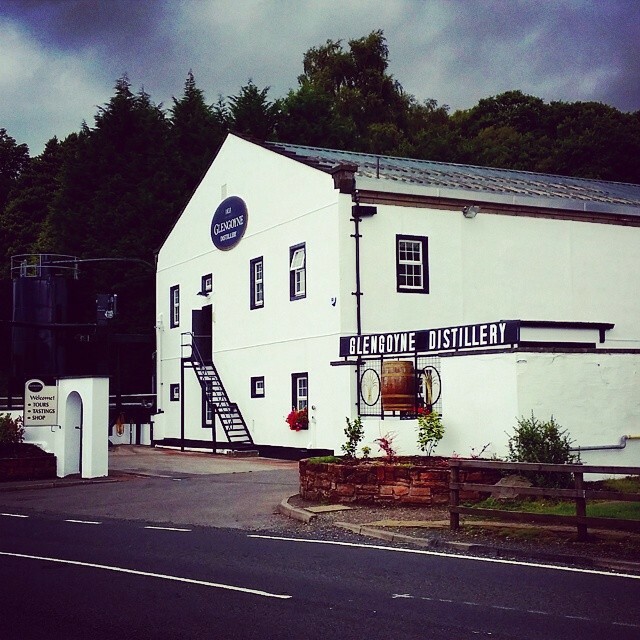 A short detour takes you to Glengoyne Distillery where you can enjoy a tour to find out how whisky is produced – and sample a wee dram! 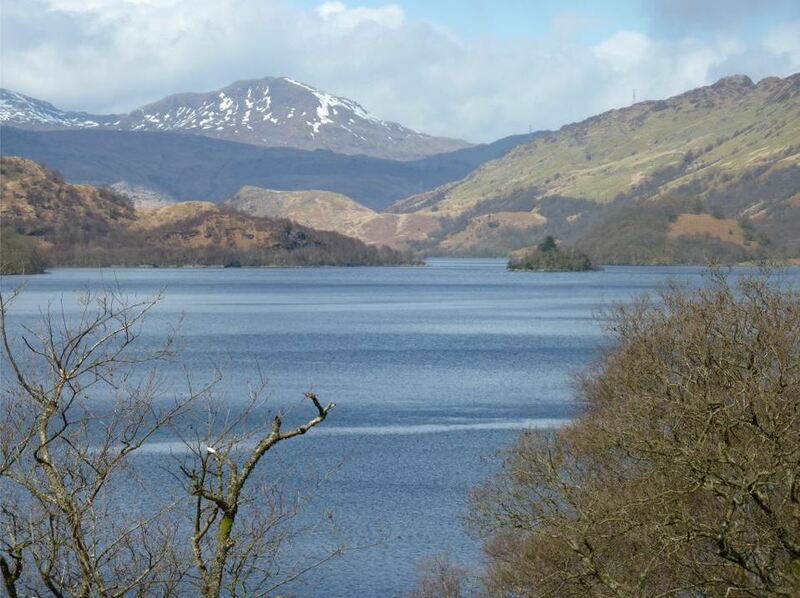 Loch Lomond: The largest area of freshwater in the UK, Loch Lomond is a treat for the eyes in all seasons. On the second stage of the walk, from Drymen to Rowardennan, you’ll walk along the eastern shores of this magnificent loch. Conic Hill: Stage two also takes walkers over Conic Hill. Although fairly steep in places the walk to the 358m summit is short and the views that it reveals over Loch Lomond and its many small islands are breathtaking. 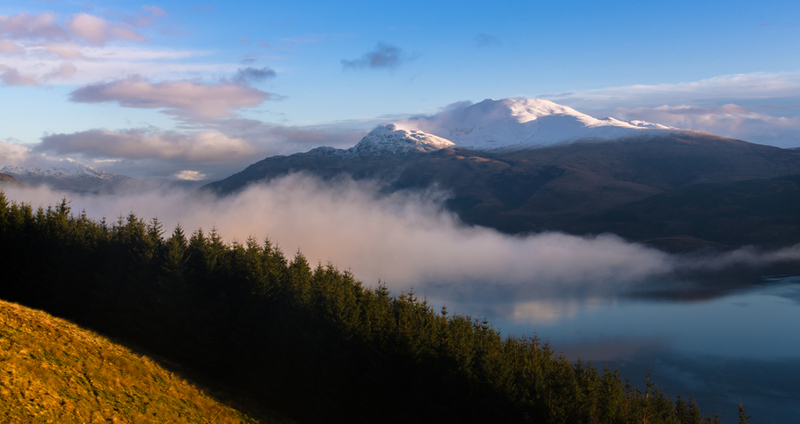 Ben Lomond: Scotland’s most southerly Munro (a Munro is a mountain in Scotland with a summit of more than 3,000ft or 914m) is viewed in its mighty splendour as you head towards Rowardennan. If you fancy a detour of four to five hours, a walk up to the lofty summit is rewarded with panoramic views. Lochside memorial: As you start out on the next stage of the walk from Rowardennan to Inverarnan, make the short walk to a memorial on the shores of Loch Lomond that remembers the fallen members of the armed forces to whom the whole area is dedicated as a memorial park. The Cobbler: The outline of the distinctive and brilliantly named mountain, The Cobbler – also known as Ben Arthur – is seen as you walk stage three. Craigrostan Woods: Before reaching the small settlement of Inversnaid, West Highland Way walkers head into Craigrostan, a remnant of the vast ancient oakwood that once covered this area. The woods are now protected and offer the chance to spot the rarely seen pine marten. 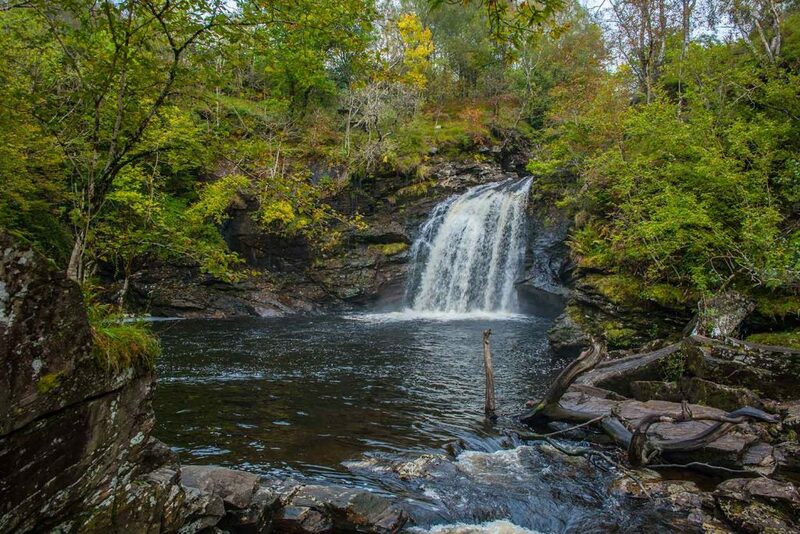 The Falls of Falloch, great for a quick dip on a hot day! Falls of Falloch: Between Inverarnan and Tyndrum, walkers will glimpse the pretty waterfalls known as the Falls of Falloch. A short detour brings you to this popular beauty spot and the ideal place for a snack or picnic. The perfect seat: As you home in on the town of Crianlarich and climb steeply uphill on the West Highland Way route brings walkers to a picnic bench that boasts amazing views back towards the atmospheric mountains of Ben More, Stob Binnein and Cruach Ardrain. Historic marker: If you are walking the WHW in eight days, during stage four you’ll also follow the banks of the River Cononish, where there is a bench commemorating the battle of Dal Righ when Robert the Bruce was defeated by English troops in 1306. Oh, the views! 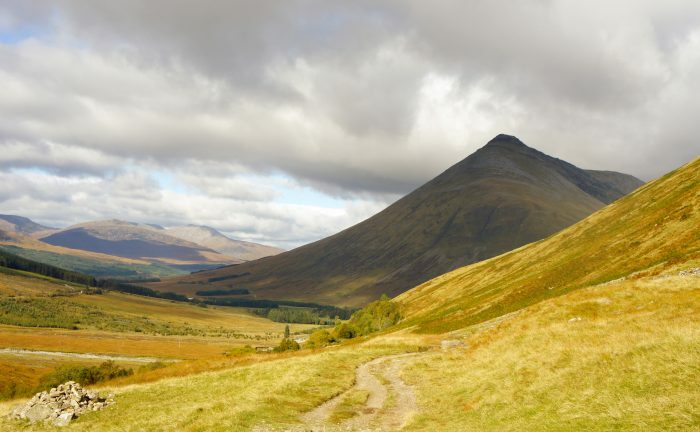 : On stage five, between Tyndrum and Inveroran, and six, between Inveroran and the Kings House, the walking is filled with spectacular Highlands views. Walkers do not climb high but stay beneath lofty summits, including iconic names such as the Buchaille Etive Mor, and alongside lochs. Seeing is truly believing in this stunning high-level landscape. High point: Stage seven, between the Kings House and Kinlochleven, the WHW climbs to its highest point above the Devil’s Staircase. Two cairns mark the summit at 550m, although the climb itself is only 305m. 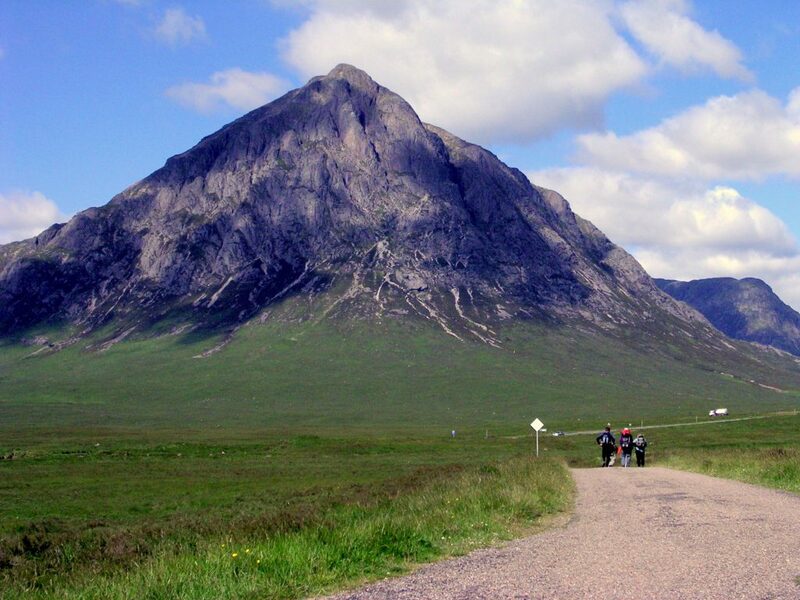 Take in the fabulous views of Glencoe from here. Grey Mare’s Tail: The final stage of the eight-day walk, from Kinlochleven to Fort William, brings another waterfall gem. A short detour takes walkers to stunning Grey Mare’s Tail waterfall. The mighty Ben: You’ll be treated to views of the UK’s highest mountain as you walk towards Fort William. Some of the best views of the final stage are found on a signed path just short of Fort William. The detour takes you to the highpoint of Dun Deardail – also the site of an iron age fort – where you can savour the grand Highlands scenery to your heart’s content. 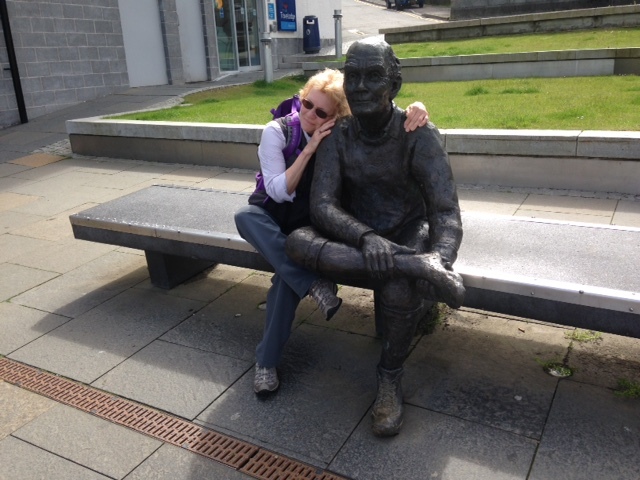 The weary walker: To reach the official finish point of the WHW, walkers must walk the length of Fort William high street where you’ll find a bronze sculpture of a tired but triumphant walker. Just like you, we hope! Discover a self-guided walking holiday on the West Highland Way and details about what to pack for this fabulous walking tour.